If any day is justifiable for the use of a professional makeup artist it is your wedding day. A professional makeup artist will not only make you look your best but she will also minimize or completely camouflage your blemishes and imperfections. Below are a few of the most commonly asked questions about utilizing our professional makeup services on your special day. Why should I hire a professional makeup artist for my wedding? Your wedding day will be memorialized in photos and videos. You will want to look back on your special day with no regrets about how your appearance that day. A professional makeup artist has the expertise to make certain that you look more beautiful than you ever thought you could. We can can correct isses like facial symetry and work magice to cover blemishes. A trained eye has the ability to highlight your best features, shave off years, and much, much more. Why do a trial-run for bridal makeup? No bride wants to be sruprised on her wedding day. A trial run allows us to experiment and perfect your look . 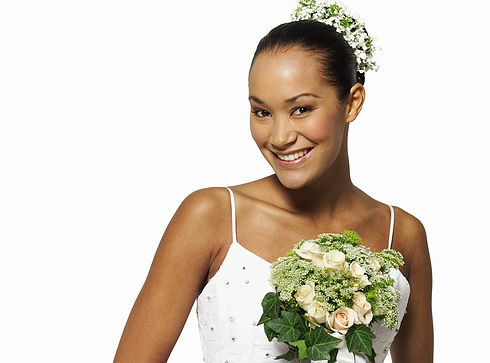 A trial-run also gives you the assurance that your wedding day will run smooth and on-schedule. When should I do a trial-run for bridal makeup? A trial-run should be scheduled at least 30 days prior to your wedding day. A one month period is an optimal time to address any skin issues (excessive dryness, oiliness, blemishes, etc.) so that your skin is “primed” for the day of your application. How should I prepare for a trial-run for bridal makeup? Refernce pictures are the best sources for gathering your ideas on makeup. Take a look at magazines and study the photos that you really like. You can bring in a few tear sheets or look through some of ours. When you or we arrive for the trial run we ask that you do so with no makeup and a clean face. If the trail run is taking place at your location we will bring professional lighting. What happens during a bridal makeup trial-run? First, we will do a skin analysis to address any issues with your skin. If necessary, we will recommend a course of action for any problem areas. Next we will review your skin undertone and surface tones to determine what color pallette will be most flattering for you. Finally, we will do a complete makeup application based on a combined effort of our expertise and your desired outcome. When should I do my makeup the day of the wedding? To keep your makeup fresh you should have your makeup applied no more than one and one-half hour hour prior to the ceremony. How much time should I allow for my makeup the day of the wedding? You should allow at least one hour for your makeup application and at least 30 minutes for each additional person in your bridal party that is receiving an application. Are touch-ups necessary the day of my wedding? If you plan to kiss anyone, eat or think anything or if you think you might cry, you are going to need touch-ups! Touch-ups are recommended for at least the length of your ceremony and when your photographs are taking. You may also consider touch-ups as you photo and tape portions of your reception including the cake cutting, the first dance, dance with father, and other monumental moments. Will my makeup be different from the makeup that my bridesmaids’, mother-of-the bride, etc.? Absolutely! You are the star of your wedding. Other bridal party members will receive flattering uniform looks. Their looks will be coordinated based on your color scheme. If I purchase the option to have touch-ups after the ceremony will the rest of my bridal receive touch-ups as well? Touch-ups apply only to the bride. Yes – visit our Body Cover-Up Makeup for more details and rates. Can you travel for destination weddings? Yes. The fee is based on the makeup application package chosen, length of visit, and actual travel expenses. Contact us directly to discuss this option.